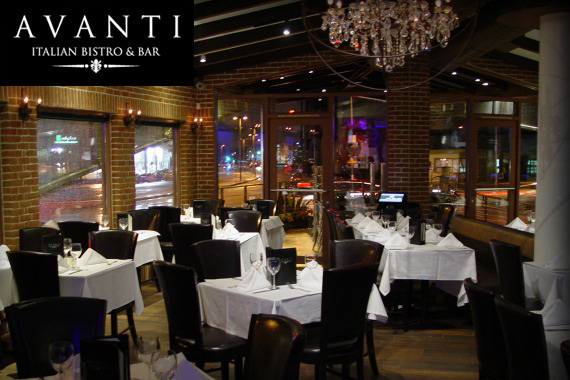 Avanti Italian Bistro & Bar loves serving Pasadena fresh, handcrafted Italian dishes. Feel at home with our warm brick interior and welcoming team. "This kind of happiness needs to be shared. https://www.yelp.com/biz/avanti-italian-bistro-and-bar-pasadena "
"Can you smell it? We can!	" "Pasta -- what the doctor ordered. " "Come and taste what others have enjoyed. ?? https://www.yelp.com/biz/avanti-italian-bistro-and-bar-pasadena	"
"Local flavor. Original recipes. Epic experiences.	" This is a cute and a little on the elegant side restaurant. The appetizers and food were delicious! The wine hit the spot with our meals and the server was nice. Good food and service. Has a good fine dinning vibe with affordable prices. Yes, I'd like to receive news from Avanti Italian Bistro & Bar. Sign up for the Avanti Italian Bistro & Bar Newsletter!